Dr. Jeff Horowitz completed his doctorate in dental medicine from Medical University of South Carolina, and GPR from Mountainside Hospital in Montclair, NJ. He founded the Carolina Center for Cosmetic and Restorative Dentistry, a multi-disciplinary group practice in the Conway/Myrtle Beach, SC. His main interests include cosmetic smile rehabilitation, complex restorative cases, treatment of sleep disordered breathing, orthodontics and TMJ disorders. 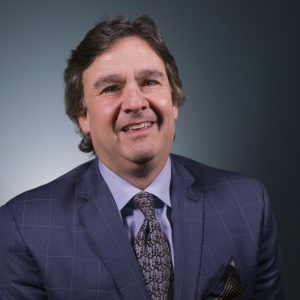 He is a mentor at Kois Center for Advanced Dental Studies, a key opinion leader for Catapult Group, and an instructor for Sleep Group Solutions. He has affiliations with Pierre Fauchard Academy, the American Academy of Cosmetic Dentistry, the American Orthodontic Society, the American Dental Association, the American Association of Dental Sleep Medicine, the Carolina Sleep Society, American Equilibration Society, and the American Academy of Craniofacial Pain. Dr. Horowitz has been featured in regional print and television news media and lectures throughout the U.S. on sleep and multi-disciplinary dentistry, engaging audiences in a personalized style. Sleep Apnea is a condition that affects more than 80 million Americans, yet less than 10 % of this population is ever diagnosed. As a general dentist, one has the ability to screen THOUSANDS of patients each year, and ultimately improve their lives. Before treating any condition though, one must fully understand the science behind the disease, along with the materials and protocols. This course will explain the medical principles necessary for the treatment of Obstructive Sleep Apnea by the general dentist. The materials, technology and clerical needs will be referenced throughout the course, aiding in the interactive learning experience for the participant. Putting these pieces together will quickly build word of mouth referrals, providing a low-stress, highly profitable area of practice for the dentist. The definitions and terminology related to sleep disordered breathing. The sleep cycle, normal/abnormal sleep and its importance to overall health. The multi-systemic implications of sleep and oxygen deprivation. How to use Acoustic Rhinometry/Pharyngometry as an objective means of assessing the airway and managing treatment success.